Boruto: Naruto Next Generations anime has been getting better & better with yesterday’s episode 39, focusing on Mitsuki’s past, reaffirming its rise. And the recent announcement that Boruto anime will begin its Chunin Exam Arc (A.K.A. Momoshiki Arc) in Spring 2018. We’re surely in for great things in 2018. The Momoshiki Arc will introduce new character that was left out in the movie version due to time constraint. So, till Spring 2018, it seems like we’ll have short stories focusing on Team Konohamaru & others. Note: The dates above are all actual, but the titles may change when the episodes are officially released by Viz Media. Episode 40: Team 7: First Mission!! 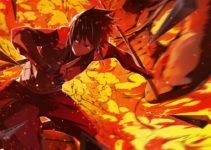 Ever since their first mission, Boruto has been extremely unsatisfied with all the simple and plain missions they have received. It was to this Boruto that he and Team 7 received the mission to “capture the criminal who is holding up the bank”. Boruto is all fired up to be able to show off after such a long time. However after arriving at the scene, the criminal who faces them is just a weak man who was unfairly fired from his company recently. Episode 43: The Appearance of the White Night Band!! An event thought to have been caused by a group of bandits called the White Night Band has occurred at the Village of the Hidden Leaf. The White Night Band are “righteous theives”, who steal money and items of value from the rich, and give them to the poor, and have been through several villages. Although they are “righteous theives”, Boruto holds a strong dislike for them due to stealing from other people and involving people who are unrelated, and goes to seek Shikadai’s opinion. However, Shikadai expresses that maybe there are things that cannot be measured by good and evil. I hope you would be looking forward to more updates! 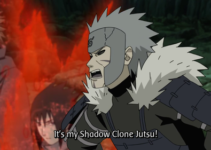 Tobirama Senju – The God Slayer! 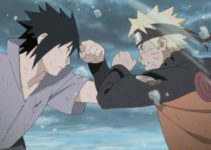 Naruto Openings That Will Give You Goosebumps!